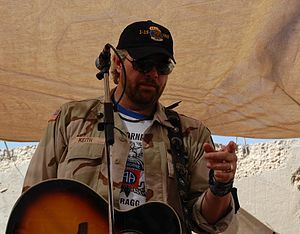 In today’s blog we will discuss Toby Keith, one of country music‘s biggest stars, and his autograph signing habits. Those of you who are fans of Toby’s will pleased to learn that he is not only fantastic on stage, but off stage with his fans too. I have had the pleasure off seeing him in-person on numerous occasions and each time, he has been wonderful! In fact, I can say that I have never seen him turn down a fan with an autograph request. Toby Keith loves his fans and shows it in every way imaginable. He is a great guy on every level. He deserves all of the success he gets! This entry was posted in Uncategorized and tagged Autograph, Collecting, Country music, Individual Collections, Organizations and Clubs, Recreation, Toby Keith. Bookmark the permalink.